Dunes of methane ice grains have been discovered on Pluto after scientists studied snaps taken by NASA’s New Horizons spacecraft. That's according to a paper published in the journal Science today. New Horizons, launched over a decade ago in 2006, has allowed boffins to conduct the most detailed study of the largest dwarf planet in our Solar System yet. In July 2015, the spacecraft managed to snap pictures of Pluto’s surface during its closest approach. An international team of scientists analysing the data found regularly spaced, linear ridges near the dwarf planet’s mountainous regions and the boffins now believe that these streaks are, in fact, dunes. “We knew that every solar system body with an atmosphere and a solid rocky surface has dunes on it, but we didn't know what we'd find on Pluto. It turns out that even though there is so little atmosphere, and the surface temperature is around -230 degrees Celsius (-382 Fahrenheit), we still get dunes forming,” said Matt Telfer, lead author of the paper and a lecturer in physical geography at the University of Plymouth. Dunes on Pluto's surface. Image credit: NASA/Johns Hopkins University Applied Physics Laboratory/Southwest Research Institute. Pluto is made of mostly nitrogen, methane, and carbon, with plenty of ice and rock. Telfer explained to The Register that the mixed nitrogen and methane ices get gently warmed by weak sunlight. Since nitrogen sublimates at a lower temperature, it gets turned into a gas first, creating an upwards pressure strong enough to lift the sand-sized grains of methane ice with it. Next, once the icy particles are suspended, they are whisked away easily by Pluto’s winds and transported back to its surface forming dunes. “It is surprising, as it’s atmosphere is so thin - currently around 1/100,000th that of Earth - that it’s not easier to understand how there can be enough wind to move [the] grains,” Telfer told El Reg. “On Earth, you need a certain strength of wind to release sand particles into the air, but winds that are 20 per cent weaker are [less] then sufficient to maintain transport. The considerably lower gravity of Pluto, and the extremely low atmospheric pressure, means the winds needed to maintain sediment transport can be a hundred times lower,” added Eric Parteli, co-author of the paper and a lecturer in Computational Geosciences at the University of Cologne. 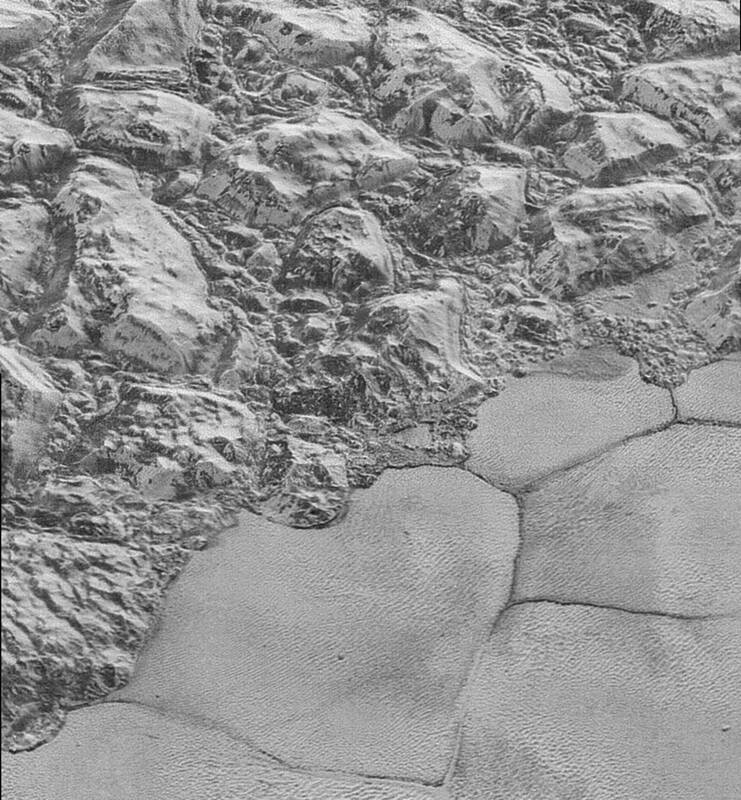 The researchers plan to study the history and formation of the Pluto’s dunes with computer simulations to probe its geology. “[The dunes] show that not only is the surface affecting the atmosphere, but that the atmosphere is affecting the surface. They also show that this distant world, so different from our own in so many ways at -230 degrees Celsius temperature [and] 1/16th gravity, is actually so similar to ours in other ways."